Shock-absorbing EPS inner shell for protection! Aerodynamic cooling vents to keep the head nice and cool! Adjustable nylon straps for a great fit! Express yourself with the Razkullz Mowhawk helmet! 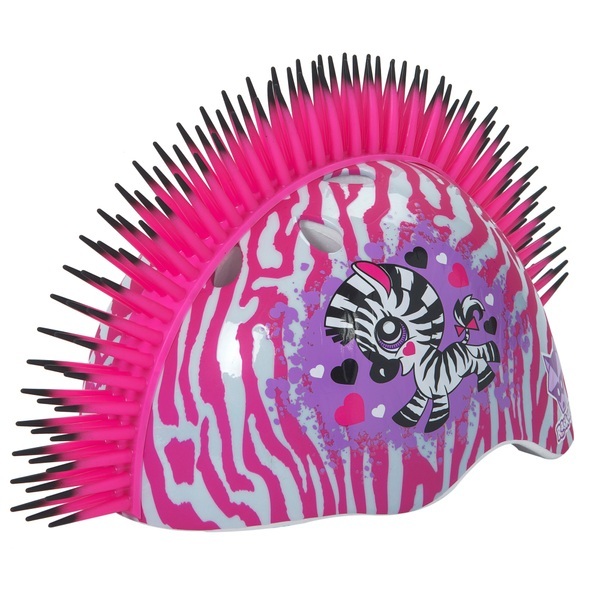 Your Zebra design Raskullz Mohawk helmet has a shock-absorbing EPS inner shell for protection. Aerodynamic vents to keep the head nice and cool and adjustable nylon straps for a great fit. Young skaters, scooters and cyclists can unleash their personalities and step out in their favourite helmet design. Raskullz Mowhawk helmet turns an essential product that kids need into something they want.